Amsterdam 1630. 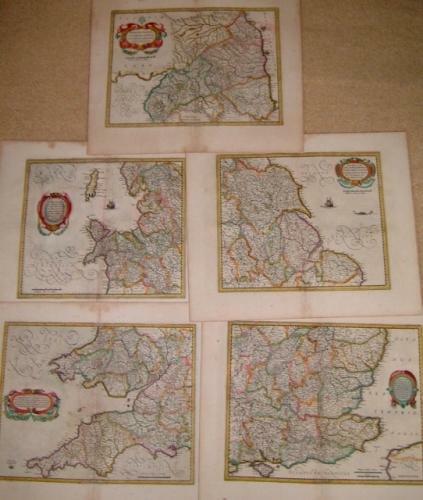 A fine set of 5 maps of England. In very good condition with rich colours. A good and strong impression with some overall toning that is slightly heavier in the borders. Cornubia, Devonia has some minor toning in the image area.